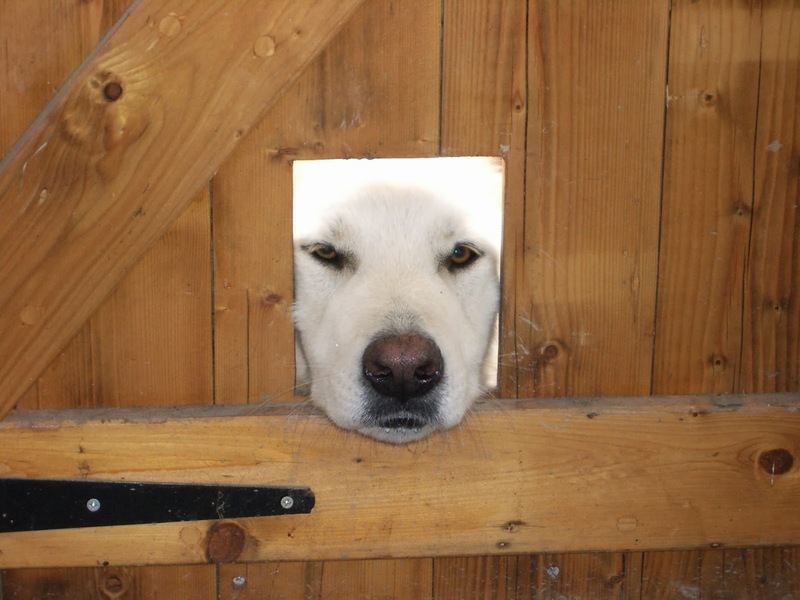 ethical WARES - a lifestyle blog: A new door & an old dog ! A new door & an old dog ! Oz asking to come in! Great excitement here yesterday when we had a new door fitted to the office (well we don’t get out much!). Still needs varnishing but we think it looks lovely. You might notice the industrial sized cat ‘flap’ in the bottom corner. We can’t have a conventional cat flap for 2 reasons; Firstly we have so many cats crashing in and out they pull them off the hinges, and secondly our big dog Oz, likes nothing better than lying with his head peering out of the flap – again pulling it off the frame. We usually have just have a flap shaped hole in the door for all to come and go, but it gets really cold in the winter so we’ve had a sliding cover fitted on the new door to keep the chill out!